With just under a month until the release of Blade Runner 2049, director Denis Villeneuve has asked three directors to make short prequel films to set up that story—and the second one is out now. It’s called 2048: Nowhere to Run, and it’s directed by Luke Scott, son of original Blade Runner director Ridley Scott, and an accomplished director in his own right. 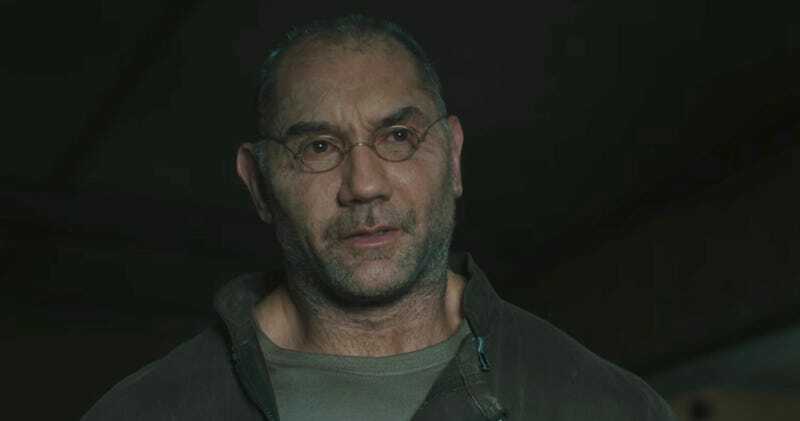 Dave Bautista, who was briefly glimpsed in the most recent 2049 trailer, stars in this short as a replicant on the run. Check it out. It seems likely that those papers and that phone call are how Ryan Gosling’s character finds Bautista’s character in the feature film—not an essential piece of information, but it’s still cool to see. And Bautista is just great in this. So timid and kind, but with that brutal core just waiting to burst open. You can also see that this 2049 version of Los Angeles is going to fit right in with 2019, as seen in Ridley Scott’s original. We’ll certainly let you know when final prequel come online. Who would you like to see featured or directing? *Correction: This is the second short. I totally missed the first one, which is linked here. Feel free to hammer me below as already started. Text updated as such.